David Hume Kennerly/Getty ImagesFormer director of Central Intelligence Agency John Brennan. The suspicious package that arrived in CNN’s mail room in New York City on Wednesday was addressed to former CIA Director John Brennan. The package was addressed to 10 Columbus Circle, in midtown Manhattan, and landed in the CNN mail room around 9:30 a.m.
NYPD evacuated the building and removed the package. 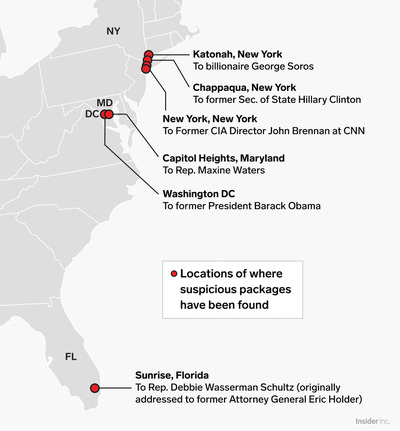 Explosive devices were also sent to former President Barack Obama, former Secretary of State Hillary Clinton, Rep. Debbie Wasserman Schultz, and billionaire George Soros. The suspicious package that prompted an evacuation at CNN’s office in New York City on Wednesday was addressed to former CIA Director John Brennan, who has appeared on the network, CNN reported. The network was broadcasting live when a fire alarm went off in the Time Warner Center in midtown Manhattan, and the building had to evacuate. The network later tweeted out an image of the package and the device. Though Brennan has been under contract with NBC News since February 2018 as a “senior national security and intelligence analyst,” he has appeared on CNN before. Business Insider couldn’t immediately reach Brennan for comment, but his representative told CNN he wasn’t commenting on the incident. CNN reported that the package was addressed to 10 Columbus Circle, in midtown Manhattan, and landed in the CNN mail room around 9:30 a.m.
Reporters said the package was deemed suspicious after X-rays in the mail room revealed the package contained metal and wires. 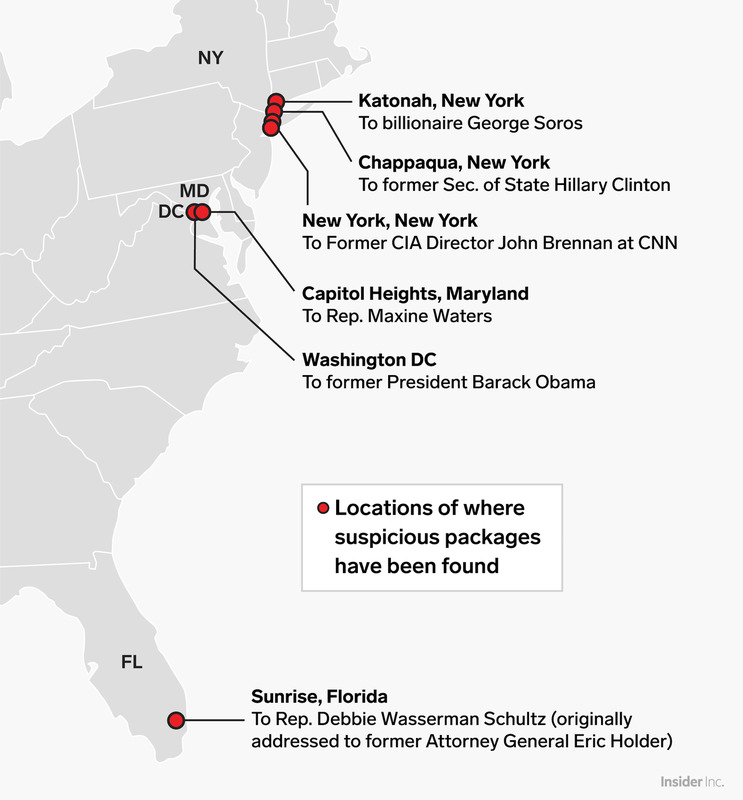 The incident came amid news that the Secret Service had intercepted explosive devices mailed to the residences of Bill and Hillary Clinton, in Chappaqua, New York, and former President Barack Obama in Washington, DC. The news comes two days after a similar device was found at billionaire Democratic donor George Soros’ home in Bedford, New York.